This project allowed students at the University of New Orleans the opportunity to design, build, test, and race a solar-powered car as part of the nationwide investigation on the use of solar power as an alternative to internal combustion engine automobiles, and to disseminate the results of the investigation. 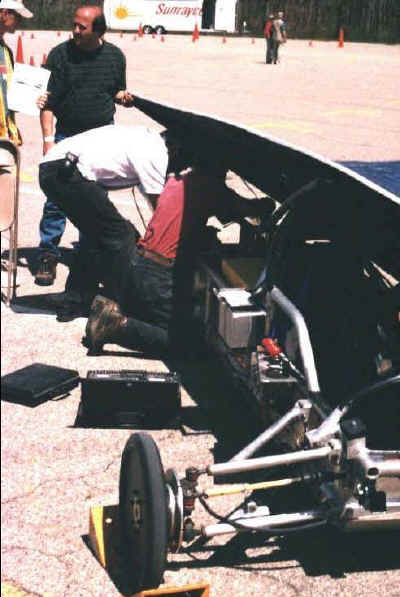 This included designing of the solar array, motor and controller, telemetry system, battery array, frame, chassis, body of the car and mechanical operating systems of the car; building of chassis and mechanical systems mounted on the car; testing of all all subsystems; integration of electrical and mechanical systems into the solar car and then testing to ensure that the car was safe and efficient; investigating alternatives to lead-acid batteries (these batteries were the only system in the solar car producing pollution); and competing in the Sunrayce ( a competition for solar-powered vehicles). 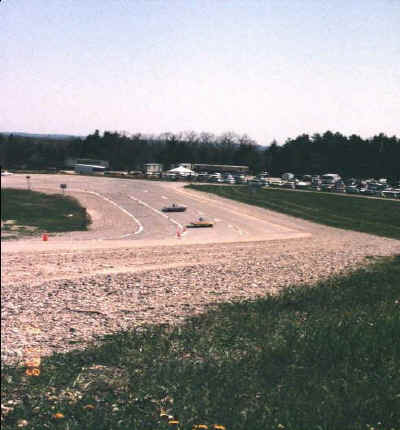 The event, which began June 20, 1999 was a 10-day race in which teams from about 40 colleges drive from Washington D.C., to the Epcot Center in Orlando, FL, to see who has built the best solar powered car. The end result of all the UNO student's time was a knee-high car covered with 728 solar cells. It had a maximum speed of about 65 mph. 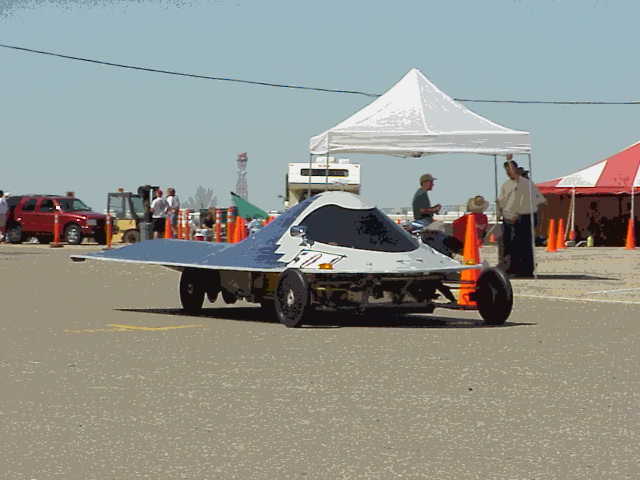 UNO also competed in the race 1997, but the students said Sol II was an improved version of the previous car. They also built this car with aluminum instead of steel. The result was a car that weighs about 950 pounds, 300 pounds lighter than the first Sol of New Orleans. The car had a laptop computer equipped with a wireless modem that transmitted data to team members not in the car. They also insulated the car to keep air from getting trapped in the rear of it and creating drag.